The Denver Health Pavilion project was a new building consisting of a below grade parking garage, one floor at grade, and three floors above grade. Each floor consists of approximately 22,000 square feet. The structure consists of three stories above ground and one-story parking below ground. The first-floor doubles as a parking garage and dialysis clinic. 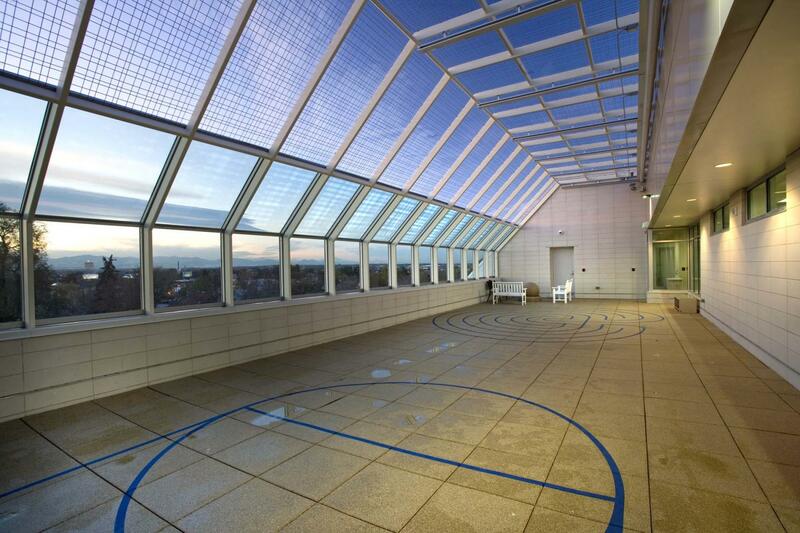 The upper floors house patient rooms, an outpatient surgery center, and a separated psychiatric ward on the top floor. Mortenson hired M&L to produce 3D rebar and exterior Light gauge stud shop drawings. Mortenson was able to get unit price bids on the reinforcing based on our bar list, reducing the overall price of the reinforcing steel. Light gauge stud sizes, gauges, lengths, and overall weights were produced from the model and priced. The Model was also sent to the structural steel detailer for them to use for their shop drawings.